- ...Raised in Winnipeg, Manitoba, Rick took up singing at age 5. By the time his voice deepened at age 13, he had mastered guitar and piano well enough to write songs and join his first rock band, Last Week's Laundry. After high school, Rick joined the cutting-edge rock group Hard Rain which opened for Bruce Cockburn and released two singles (Caterpillar Song, I Come Here Often) in the early 70s to regional acclaim. - Agent weren't so much as a band initially, more a collaboration between Andre Kunkel and Craig Zurba. Both prolific songwriters, their efforts resulted in the pair winning a Canadian music contest which caught them the attention of Virgin Canada. In fact, Agent had the distinct honour of being the labels first signing, a feat which would later come back to haunt them. Prior to that, Zurba, Kunkel and Smart were involved in the 1982 album 'Letting Go' by Canadian chanteuse Nancy Nash. 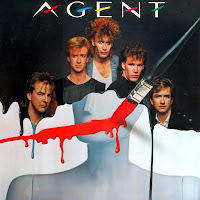 Bringing their music together under a proper band structure, Agent was born, though many members passed through its ranks during the mid eighties. By the time their 1986 debut was released, the lineup had stabilised to that listed above. Musically, Agent bring to mind many of its Canadian contemporaries, such as Glass Tiger, Loverboy, Streetheart and Honeymoon Suite. But the real big comparison to these ears is the one-off AOR classic Preview. - Vancouver's Agent started as a songwriter's collective that thrived on producing well-crafted melodic rock. After placing songs with many recording artists, Agent realized that they had all the components of a working band, so they hit the live circuit and pitched the group to publishers and labels. They created a low budget video for an international video contest which landed them the $25,000 first prize and industry exposure. That brought them to the attention of CBS publishing and Virgin Records. Many fans of Canadian melodic rock will surely remember that all of this happened ten years ago as Virgin signed the band in 1986 and the self titled album was released. The band then was a five piece, founded by Bass player Andre Kunkel and Keyboardist Craig Zurba. The word that best describes Agent is "survivors". The band has had its fair share of ups and downs. Agent were offered contracts before they hooked up with Virgin only to find the labels collapse days before the actual signing. As they were climbing the charts with their debut back in the late eighties the three other members quit the band, vocalist Rick Livingsone has since surfaced with Vince Dicola in the band "Storming Heaven". Also, the president of Virgin Canada left the label and so the band were left without promoters. But always Agent bounce back, Troy Reid has since joined the band, a multi-talented singer, drummer and guitarist and so the band are now a close-knit three piece. The members now take turns at playing various instruments as well as producing, engineering, mixing and mastering projects in their own studio. Weathering the storms has made Agent stronger and aware of how commited they are to creating and sharing their music. 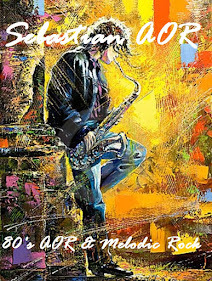 - Melodic Hard Rock band. The song writing team of bassist Andre Kunkel and keyboard player had been active from the 70s, having contributed to work with NANCY NASH. 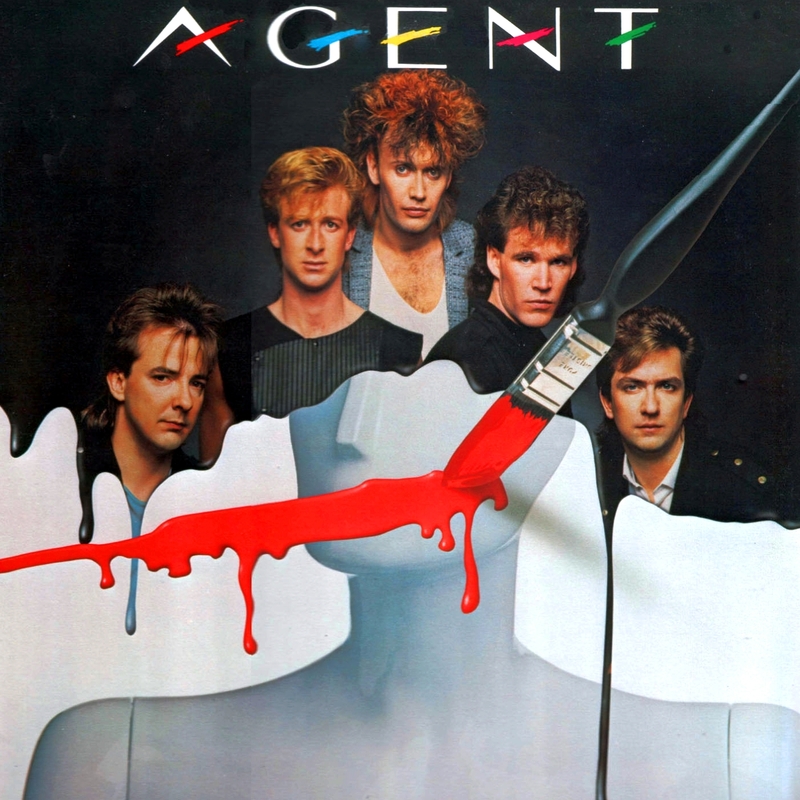 AGENT's 1987 debut featured HEADPINS vocalist Darby Mills and LOVERBOY singer Mike Reno on backing vocals. However, the expected major label push failed to materialise, the blame being laid at the defection of the President of Virgin Canada immediately upon release of the record.